Have you typed “fitted kitchens Dorset” into your search engine in the hopes of finding the most professional supplier in the area? You can stop your quest now that you have discovered Select Interiors. Our family operated company has more than 20 years of specialist experience in creating amazing custom solutions. Call us on 01202 821 005 to speak to a team member right away – we are here to help. When you hire Select Interiors for a fitted kitchens Dorset service, we begin by visiting your property to carry out a thorough inspection. After we take all the measurements, we will have an in depth conversation with you about everything you are looking for and wanting to achieve. We will never proceed with any work unless you are 100% satisfied with what has been agreed. Our team members have access to specialist design software that will help you perfectly visualise your new kitchen. Our fitted kitchens in Dorset will come fully supplied which means that we will take care of the design, quotation, supply as well as the installation. We will be your one stop shop for everything including plumbing and electrical work. Where required, we also offer a supply only service – please get in touch with us for more information. 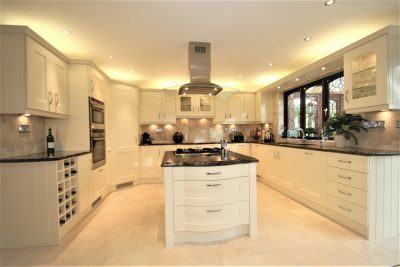 The fitted kitchens Bournemouth that Select Interiors creates are made to order which means that we have got you covered regardless of the size or complexity of your project – there is no undertaking that our expert team will not be able to handle. We will know exactly what to consider prior to commencing with any work so you can rest assured knowing that we will maximise your space in the most efficient way and transform your premises in ways you never thought possible. For trade enquiries, you will be happy to discover that we now offer a supply service on top of our famous fitted kitchens Dorset facility. We work closely with a large number of local tradesmen as well as contractors in the Channel Islands, the Home Counties and London. We have recently invested in the very latest in CNC automated technology which means that we are able to offer a high quality product at an amazing price. 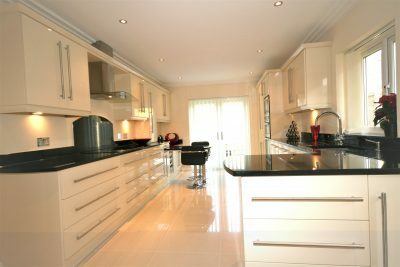 When it comes to Dorset fitted kitchens and fitted kitchens Poole, we do it all. Our multi-skilled team members will be able to offer a truly comprehensive service that will include electrics, lighting, plumbing, tiling, plastering as well as the installation of any appliances. 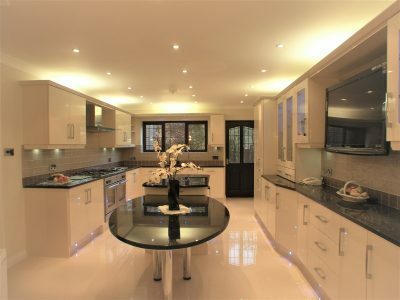 Why choose Select Interiors for your custom fitted kitchens Dorset service? For more information about us as a company, please check out the rest of our website. You will be able to draw some additional inspiration from our online gallery of Dorset fitted kitchens. Check out our before and after page as well for some fantastic transformations. Do not forget to read through our testimonials section for some genuine feedback from our happy past customers who would not hesitate to recommend our services. Have you been impressed by what you have seen on our website? 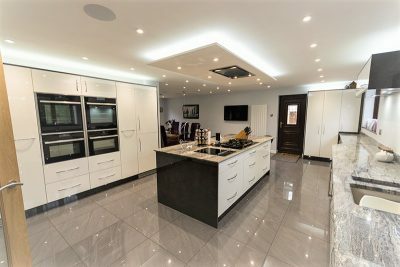 If you are ready to contact the team who creates the best quality fitted kitchens Dorset can offer, then there are several ways that you can get in touch with Select Interiors. We are open from 8 AM to 5 PM, Monday through Friday and from 9:30 AM to 2 PM on Saturdays. Feel free to call us between those hours on to speak to a friendly team member. You can also contact us by filling out the simple form on our website and arranging for a callback at a suitable time. In case you would prefer to send your fitted kitchens Dorset enquiry over in an e-mail, please use info@selectinteriorsltd.co.uk – we will get back to you in a timely manner with the requested information.